Smartsheet offers an easy platform for collaboration and file sharing. The Smartsheet content pack for Power BI provides a dashboard, reports and dataset that shows an overview of your Smartsheet account. You can also use the Power BI Desktop to connect directly to individual sheets in your account. 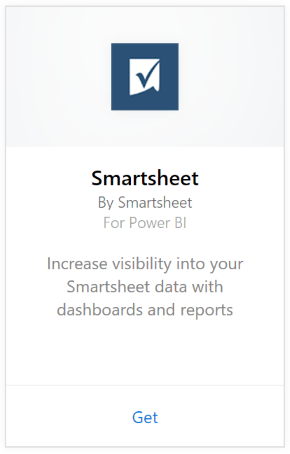 Connect to the Smartsheet content pack for Power BI. 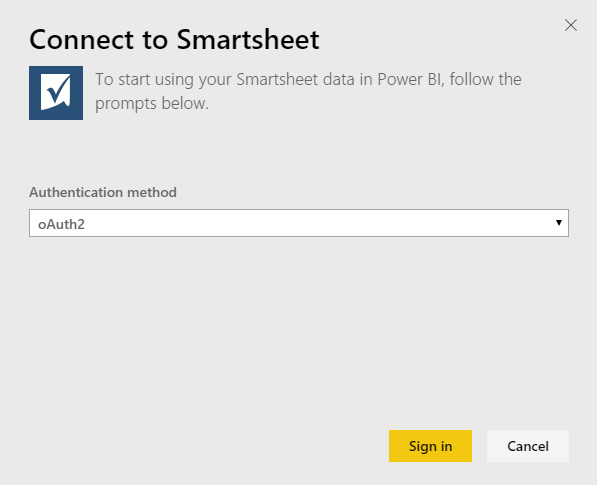 Smartsheet admin account is preferred to connect and load the Power BI content pack as it has additional access. 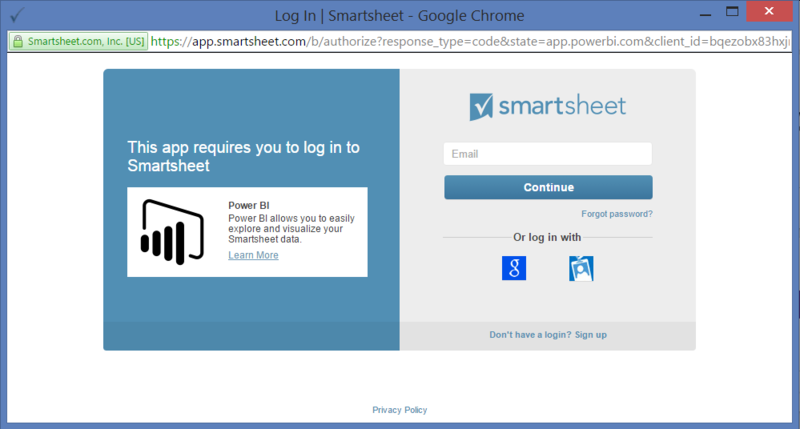 When prompted, enter your Smartsheet credentials and follow the authentication process. 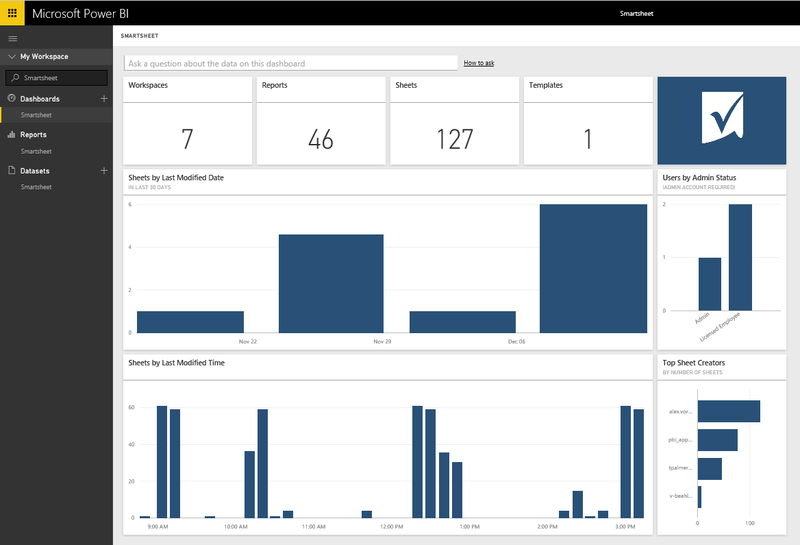 After Power BI imports the data you will see a new dashboard, report, and dataset in the left navigation pane. New items are marked with a yellow asterisk *, select the Smartsheet entry. The Smartsheet content pack for Power BI includes an overview of your Smartsheet account, such as the number of workspaces, reports and sheets you have, when they're modified etc. Admin users will also see some information around the users in their system, such as top sheet creators. To connect directly to individual sheets in your account, you can use the Smartsheet connector in the Power BI Desktop.